The Mini 10 is the new entry level Endian UTM appliance. While conceived for small businesses and home offices, it fits perfectly into big projects as well. The Mini 10 perfectly fits businesses with restricted staff, as this device offers all requir.. The Mini 10 is based on the EndianOS platform, which guarantees high performance, stability and flexibility to the appliance. The Mini 10 provides a high, out-of-the box security level. It is a small but powerful, easy to install and to maintain secu.. The ideal network security solution for small businesses and remote branch office locations takes a step forward. The new set and forget Endian gateway is built on a completely new platform and has double the power of the previous generation. This pr..
Endian’s Mini Wi-Fi perfectly integrates into your network infrastructure and allows you to get rid of your old access point. By supporting the 802.11 a/b/g/n standards both 2.4 or 5 GHz connections are possible. You can define up to four diffe..
All-in-One Network Security Solution The innovation of the Internet has created tremendous worldwide opportunities for e-business and information sharing. It has become essential for businesses to focus more on network security issues. Th.. Conceived to handle the processing of heavy Internet traffic, emails and VPN connections to branch offices, the Mercury 50 is the ideal scalable solution to support your network growth. 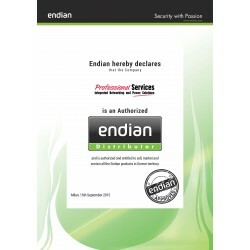 This high-performance appliance provides Endian’s best in ..
Fast, flexible and easy to use. The Mercury 100 guarantees high security standards combined with the globally recognized Endian Hotspot technology. Application level filters, anti-virus, anti-spam, web filtering, VPN functionality and much more creat..
Large organizations and distributed enterprises often experience critical security issues. To constantly keep the protection at a high level the support of a reliable hardware appliance is needed. The Macro 250 and 500 offer integrated security servi.. Discover the new powerful Endian appliances equipped with twice the memory and the latest multi-core processor technology to boost your network performance. The Macro 1000 and 2500 are the ideal gateways to manage and filter the traffic of the most d..